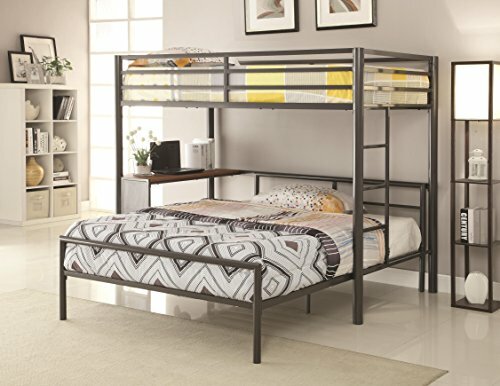 Versatile, stylish, and fun, this Twin-over-Full Workstation Loft Bed is an excellent addition to your teenager's bedroom. This piece features a twin bed on top with full-length guard rails, attached ladder, and a desk below. This group also includes a full-sized metal bed placed next to the desk. Leave it as is or move the bed in and out and put a chair in its place to use as a workstation.